Although it is famous for having the majestic Lord of the Rings landscapes and more sheep than people, New Zealand is most famous for the iconic flightless ball of fluff, the kiwi bird. First documented by English explorers in 1814, the kiwi bird has become a foundational symbol for New Zealand’s identity. That identity is at risk, however. The population of kiwis numbered in the millions when Europeans arrived in the late 18th century. Over time, however, the population has dwindled to approximately 70,000. If the same rate of decline continues with no changes to the circumstances threatening its survival, kiwis will be extinct within the century. The decline of the kiwi population began when the ten species of kiwi lost their predator-free habitat. Before European settlers arrived, kiwis had no natural predators other than the native Maori peoples. When European settlers began farming, they realized that the large rabbit population posed a threat to the farming industry’s integrity. Subsequently, they introduced mammalian predators, which did a fine job controlling the rabbit population. However, the imported predators were just as effective at “controlling” the kiwi population. By the time people understood the effects of the new predators on the kiwis, only 100,000 remained. In response to this kiwi population crisis, New Zealand’s government launched a campaign to save the internationally renowned bird. The government set goals of rebuilding populations at least to 35,400 brown kiwi, 35,000 tokoeka, 2,900 little spotted kiwi, 19,900 great spotted kiwi, and 900 rowi by 2030. This program is funded not only by the government’s Department of Conservation but also by a nationwide charity known as Kiwis for Kiwi. 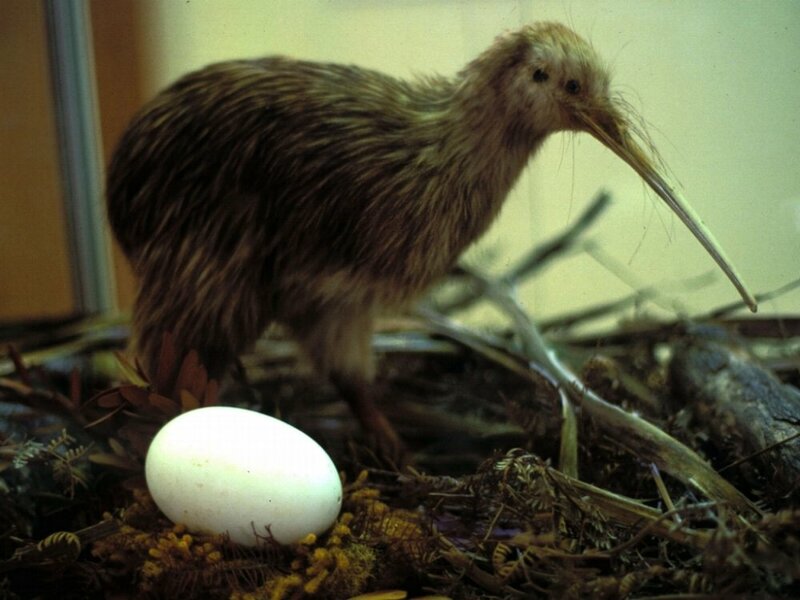 According to the National Audubon Society, Kiwi eggs can weigh up to a quarter of the bird’s body mass, making it the largest of any bird in the world in proportion to its body size. Kiwis for Kiwi was founded over 20 years ago with the goal of “protect[ing] kiwi and their natural habitat and ensure[ing] the species flourish for generations to come.” The organization works cooperatively with New Zealanders and the Department of Conservation at the country’s five official kiwi sanctuaries. On November 1, Kiwis for Kiwi upped its annual donation to the Department of Conservation’s kiwi safeguarding project to $1.3 million. This donation follows the release of a report from the Department of Conservation, which revealed that kiwi populations are now rising two percent annually rather than falling. At this rate, the goal of 100,000 kiwi birds by 2030 will be met. The success of the kiwi restoration program can be attributed to the five kiwi-protection reserves across New Zealand. These sanctuaries are free from predators, resulting in young kiwi birds having “a 65 percent chance of survival to breeding age, instead of just 5 percent in the wild.” In total, 121,961 hectares of New Zealand have been reserved for kiwi birds. Furthermore, 676 dogs have been trained to avoid kiwi birds, and 3,854 predators have been caught. 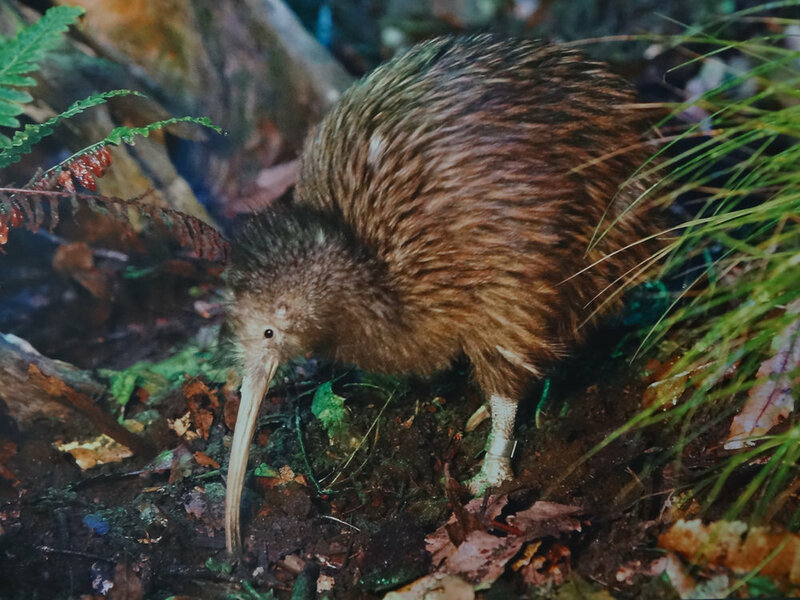 The kiwi bird is such a monumental symbol for New Zealanders that it is hard to believe something so important became so close to disappearing forever. Nevertheless, conservation groups and government officials have come together to help preserve New Zealand’s unique bird species.